In many ways, I have dreaded writing this post. It has been on my list of posts to write for ages, and each time, I have skipped it and written something else. Perhaps it’s because you’ll get to know me in quite a different way. Or perhaps it’s because of the stigma attached to immigration. It’s probably abit of both and then some more. 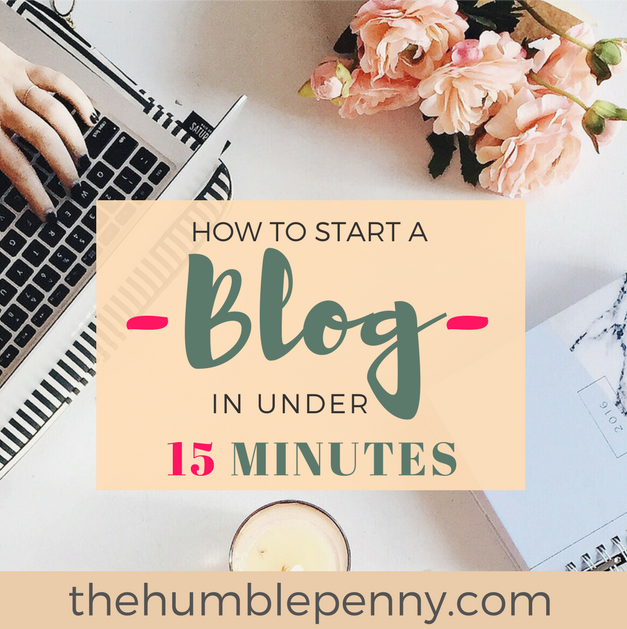 I’ve almost had to give myself the permission to write this post. It’s very fitting that I am writing this in 2018, as I celebrate 20 years of life as an immigrant to the UK. Today though, I write from Paris. We rented a flat in the 9th Arrondissement, just a stone throw from Sacre Coeur in Montmartre. I am here with my wife and sons as I also celebrate 6 months of writing this blog. Whilst here, I have been doing some reflecting and finally given myself the permission to write this post. I received an email from the Financial Samurai, which was entitled “Keep On Going, But Find Outside Support Along The Way”. Sam has been writing 3 times a week on his brilliant blog for 9 years! You see, to be in Paris with my family on holiday might seem like quite an ordinary thing to do. There was once a time when I couldn’t even imagine what Paris looked like. The closest I could get to it was on the internet via an internet cafe (remember those?). So how have I gone from someone who could barely afford to use the internet cafe, to someone who is considered to be in the 1% (whatever that means) and pretty near Financially Independent? 3. A dose of design aka formal and informal education. 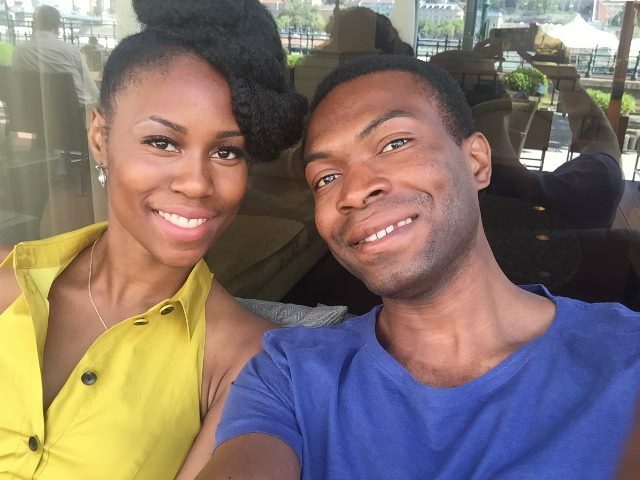 For most of you reading this post, alot of what I’ll talk about will sound foreign (no pun! ), however, I’d encourage you to stick around and walk with me. Before we dive into the meat, let’s start at the beginning. It’s not everyday that you read a blog post with the words “immigration” and “financial independence” on the same page. I don’t know about you, but everywhere I look, people are either for or against immigrants! Immigration is topical and understandably so. However, let’s not forget that we are referring to human beings here, most with hopes and aspirations and a hard working ethic. The immigrant today is referred to in the media as some sort of third class citizen or worse. When you’re caught up in this sort of messaging, you either feel unwelcome or hopeless or both. Having listened to this same messaging for the last 20 years, I’ve come to realise that the immigrant’s perceived disadvantages could be advantages if they’re understood and used. When people talk about immigrants, one could be forgiven for not realising that there are different levels. There are immigrants with even more powers than Members of Parliament. They own football clubs and control vast numbers of assets. Then there are other immigrants without a voice at all. They work hard and keep the country running without many noticing. Other e.g. Smuggled in etc. So you could be anything from “Illegal-Poor-From outside EU-Arrived by Other” to “Legal-Wealthy-From Inside EU-Arrived by Plane”. The closer you’re to the former, the further you’re from any hope of wealth. In fact, one’s problems could end up being generational. I can certainly tell you that I was nowhere near the latter extreme. For a very long time, life in the UK felt like living in a prison. It’s amazing that such a rich country can also be so cut throat at the same time. Many people live life in this country quietly and fearfully for various reasons. The same probably goes for the US and other countries in Europe. When you’re on the other side, you’re made to feel like you’re not even on par with even the poorest citizens on many levels. It’s hard for someone who has not walked the path of the immigrant to understand what the struggles are. 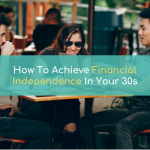 However, I shed light on this so that you can start to understand why the path to Financial Independence for an immigrant might be so challenging. Moving to the UK was a shocker for me. There was a crazy fascination with the weather and I hadn’t come across too many white folks. In fact, in the 15 years I had lived life as at that point, I had probably met at most 5 white people. Then ofcourse, I move to a new country and most people are white. This came as a shock! Everyone spoke so fast and everything moved so fast too. Then you throw in the bland food and the crazy kids I had at my State school, and you get disaster looming. You might not think it, but there is a direct link between your ability to communicate and your future wealth. Top of my priority as a teenager was to master the English language and stop sticking out like a sore thumb with my strong accent. I’d watch the BBC many times and repeat aloud, word after word, everything I heard during the news. I avoided speaking in public because it not only lost me the friends I never had, but it guaranteed that I had no hope of getting a job! Especially when you throw in my surname, which most people struggled to even attempt pronouncing. A passport guarantees citizenship and rights to many things e.g. health care, voting, welfare, property, well-paid job opportunities etc. This is usually top of the priority list for most immigrants and it was for me too. For some, this journey to getting a passport of your new country can take decades! In fact, depending on where you fall on the immigrant continuum I mentioned earlier, you could either get a passport in less than a year because you can pay for the best advice and visa options (e.g. innovator or entrepreneur visa). Or one can stay in hiding, lose years of their lives due to poor advice, whilst being fleeced by terrible solicitors. Money plays such a critical role that it’s insane how game changing it is to have money. Starting all over again can be either a positive or a negative thing. For me, I was so excited to have moved to the UK. However, the shock of the place and how difficult life was, made it a negative thing in many ways. You start building a life all over again. Educational qualifications become obsolete in many cases. New relationships have to be built. Loneliness creeps in and the lack of community can be soul destroying! Usually, when people immigrate, they do so in parts. One person goes, scopes out the new land/opportunity, tries to survive, and then others tag along. For me, this sacrifice was made by my mum and dad. For 6 years, I did life without my dad. When I think about that today as a father, I cannot imagine being without my children for a month let alone 6 years. For this reason, I am eternally grateful to my dad. He did what he needed to do and that decision has had generational implications. My approach to family life has been deeply influenced by the decisions my parents made to ensure that we had a bright future. For alot of immigrants from outside of the EU, stigma and racism is a biggy! I faced it alot but it has never ever held me back. As I have come to learn, the beginning of every achievement starts with a strong desire. If your desire is strong enough, no amount of racism and stigma will stop you. I have such a strong belief about the need to be fearless, that every set back I get in this arena is something as I see as more wood for my ever-burning fire. I see it all as a test and an opportunity to build the character that I am becoming. 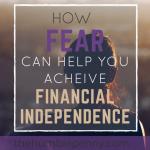 More on why this is important for Financial Independence below. The lack of money is easily #1 or 2 in the list of problems that immigrants face. This lack causes many to get involved in illegal activities that ends up compounding their already negative positions. Money and the lack of it can be extremely destructive especially where one is trying to survive. The lack of money can also do something else. It can heighten one’s inventiveness and creativity and make one enterprising. This was certainly so for me and my family. I can easily write about 40 different business opportunities we explored in our quest to not only survive but to thrive. In a way, it’s really no surprise to me on reflection that I am the author of a personal finance blog. When you live life on a low income, learning to get by is a necessity. 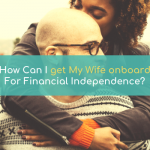 Where Did My Financial Independence Journey Begin? Well, not directly. On the back of my last ever break-up (gush I’ve really grown up), I attended a Rich Dad Poor Dad conference that would change my life. From this meeting, I set off on the best adventure of my life, having met my wife at this conference. Property investing became a thing, driven by the need to invest in cashflow generating assets. However, anyone who has invested in property will know that it is no small feat! Many make it sound easy, but it is not at all. The leverage is great, however, it can also go badly wrong. 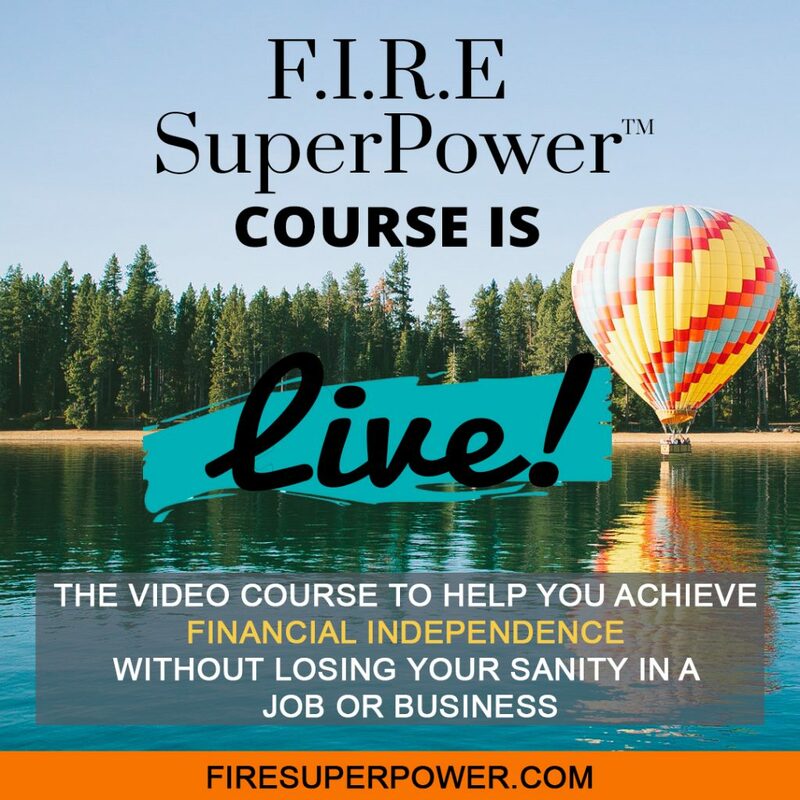 For this reason, the path to FI has not only been about property investing but also about the business and side hustle income. None of this would mean anything though if we (as a team) didn’t learn how to keep our costs low and way below our family income. Only through doing this is the margin for a high savings rate created coupled with the game-changing overpayments against mortgage debt. What’s Been My Strategy For Financial Independence? The above section really touched on tactics i.e. the mechanics. The layer above is alot more important in my opinion. This is the stuff we go to school to learn. You see, although some will argue that we don’t get taught about money at school, I certainly did. I majored in Economics and Accountancy and went on afterward to train as a Chartered Accountant. Then followed by an MBA. In all these paths, I was really aiming for two things – Knowledge and Understanding. When I went to university, I was really there for knowledge. When I went back 10 years later for a post-grad and to study for an Executive MBA, I was really there for understanding. Knowledge and Understanding are very different things, and both are steps on the path to Wisdom. Related: Lessons On Wealth From The Wisest Who Ever Lived. ii) Guaranteed 6-figure income (without any hustle on my own). This is where I think I have had a major advantage. I’ve previously written about why I think reading books is the greatest life hack ever! For some reason, many prefer to waste their time watching crap on TV. I immerse deeply in reading books of a great variety. Alot of the books I read focus on self-development, entrepreneurship, life hacks, relationships etc. Alot of the stuff you see me writing about actually! This is because the reading feeds the writing, which in turn feeds the reading. It’s for this same reason that what we think feeds what we say, which in turn feeds our actions, which again then feeds what we think. This informal education has also taken me down the path of seeking mentors and coaches because there is no quicker way to learn than through those that have been there already. This is why the real question people should be asking themselves is – How Many People To Freedom? If you think deeply about this question, you realise that every aspect of business success, personal success etc comes down to an encounter with the right people in life. The other bit of informal education comes from trial and error, which I cover below. It is really this informal education mixed in with the survival instincts as an immigrant that has accelerated my Financial Independence the fastest. I naturally keep my ears inclined for opportunity, and never shy to put my money where my mouth is. 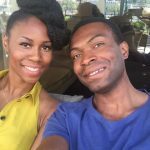 This is one of the good reasons why I am a big advocate for the side-hustle! I can tell you for certain that if you are risk averse, you’re less likely to become financially wealthy in life. I am not referring to risk taking for the sake of it or because you see others doing stuff. 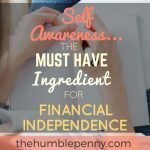 This risk taking is fed by your self-awareness, a must-have ingredient for Financial Independence. It is calculated and motivated by goals you’ve set yourself having an understanding of what you want out of life. I deliberately focus on you because you will come across countless numbers of people (including friends) who think they have the right to tell you what you should be doing. There is hope – Whether you’re an immigrant or just someone on this FI path, there is much that can be done if you believe. Your perceived disadvantages could become your advantages! The journey to FI is the journey of growth and purpose. You’ll learn so much from the decision to adjust your lifestyle and to ultimately seek freedom. This path has generational implications. Having learned these skills and ways of thinking, guess what we are teaching our children? You guessed it! It’s about contribution. I haven’t moved to the UK to just think about myself. You’re darn right this is also all about impact. So hopefully this blog lands on good soil. Finally, I want to use this opportunity to shout out to all those struggling immigrants on the path. Your pains and struggles are felt and understood. Whether FI is new to you or not, it’s never too late to get involved. The future can be very bright. Just remember: We Are A Fearless Generation! We all have adversity in common and have the opportunity to tell new stories with each day. 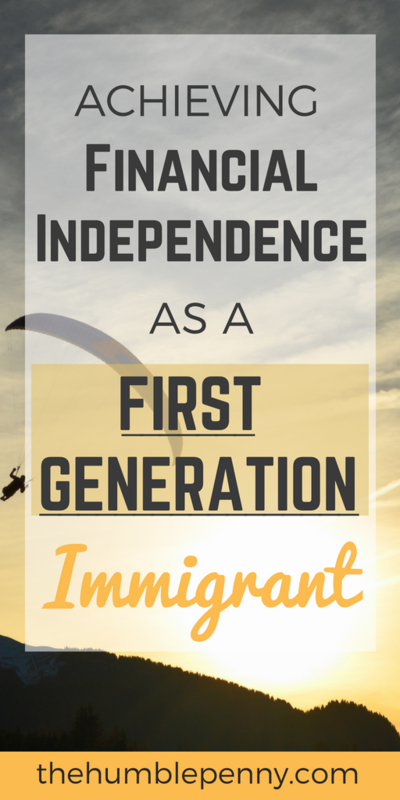 Do you draw parallels with the path of the immigrant? 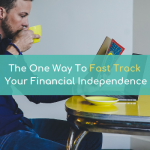 What has the path to Financial Independence been like for you? 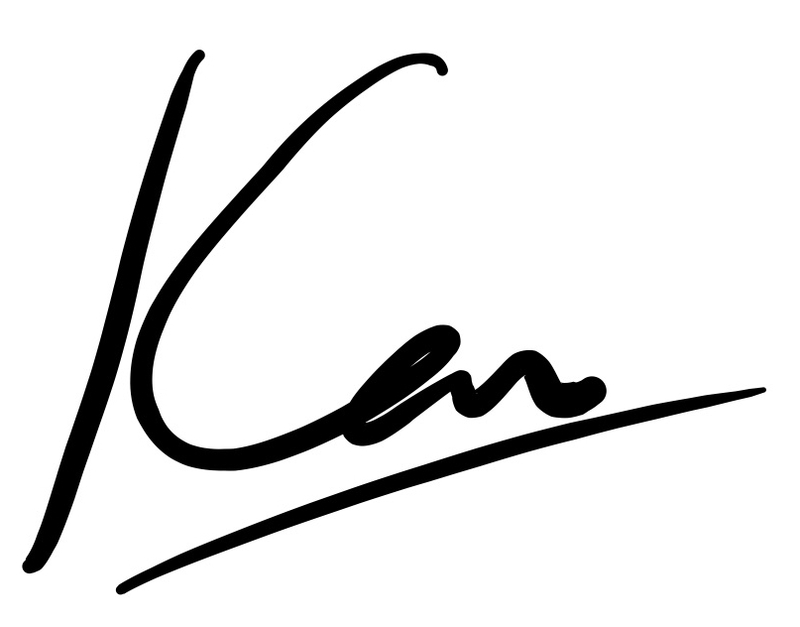 Inspirational post Ken, loads in there to learn from. Thanks for sharing. Hey Mark, thanks for stopping by! Appreciated. Such a great blog post. Very insightful. Thanks for being open. You’ve achieved lots despite the setbacks and I am certainly inspired. Hey Edozie, much appreciated! Glad you found it useful. Hey Leon, cheers for stopping by! Thanks, man. 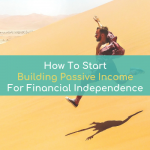 Yes, I already have a level of Financial Independence through passive incomes and overall net worth, although my mortgage still has about 4 years at most to go.